An inspiring Mount Zion movie titled Mi O Le See has been released on Ogongo TV. The movie was released on the popular online TV station, Ogongo TV over the weekend. According to the CEO of Ogongo TV, Dr. Adeoye Omoniyi, the movie revolves around the story of MR. AND MRS LAWSON who are devoted Christian. They are married for ten years without any child, the pressure from the in-law pushed the wife to go against her faith which took the blessing of God away from her. 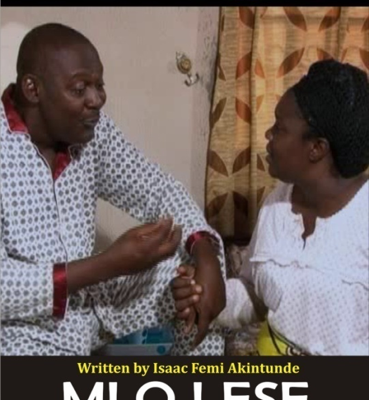 ‘Mi o le see’ which was written by Isaac Femi Akintunde was directed by Joseph Yemi Adepoju and Isaac Femi Akintunde. The inspirational movie has a good video and sound quality that can be easily watched or download.